Robyn | Brand & Design Studio — Stratech - International Brand, Website & Packaging design. 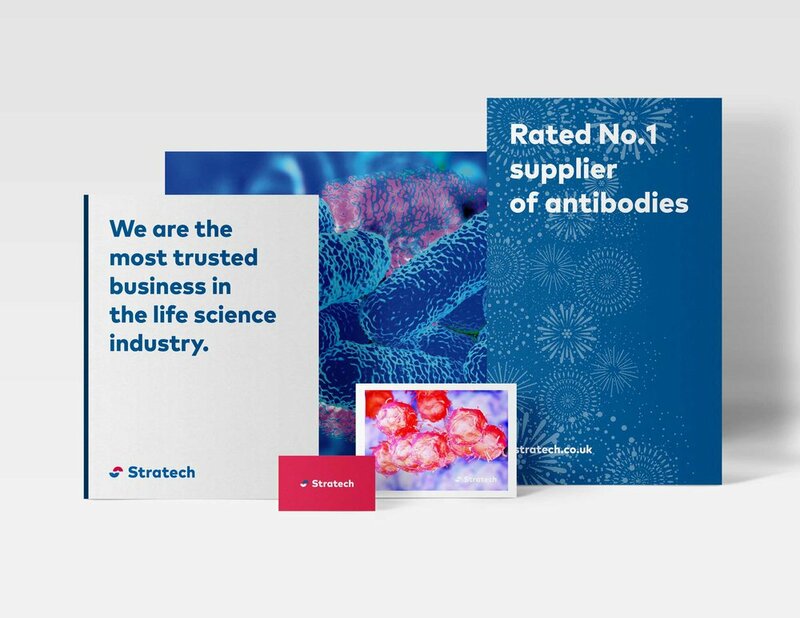 With over 30 years' experience, Stratech are a leading specialist in the acquisition and distribution of medical research supplies. In a market place that was becoming more and more competitive, where companies were focusing on their visual communication and messaging, it was vital that Stratech capitalised on their established and respected services in order to stand out. Stratech were looking to refresh and clarify their current market position though a developed and refined brand identity and website. Taking inspiration from the intricate elements of the industry, the concept was inspired by the anatomy of cells. The design was carefully crafted to be clean, minimal and sophisticated, remaining sensitive to the original brand by symbolising an 'S'. The surrounding identity was created to be bright and modern to add vitality and dynamism to brand material.